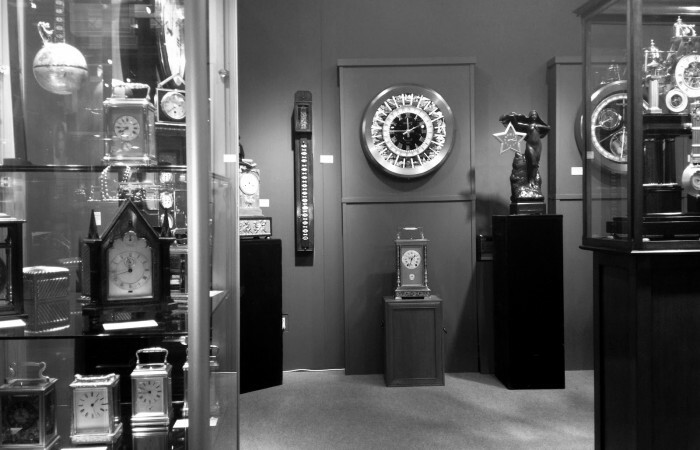 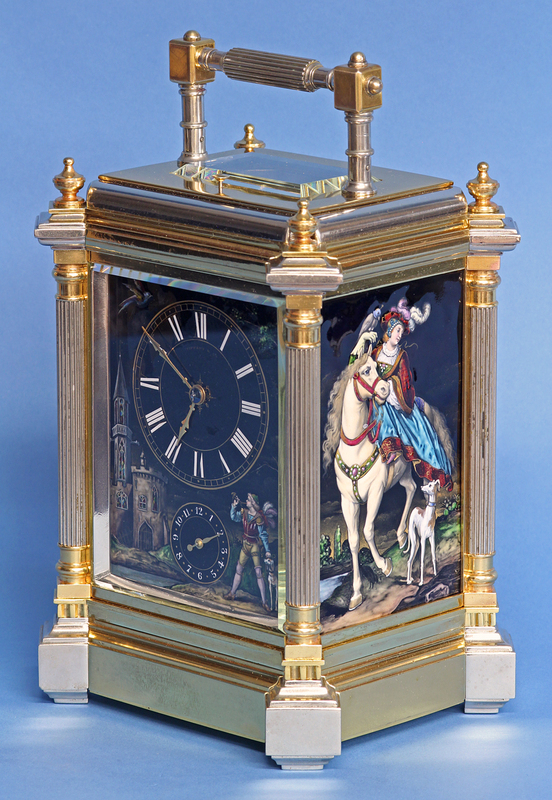 Rare Giant grand-sonnerie carriage clock with exceptional limoges panels. 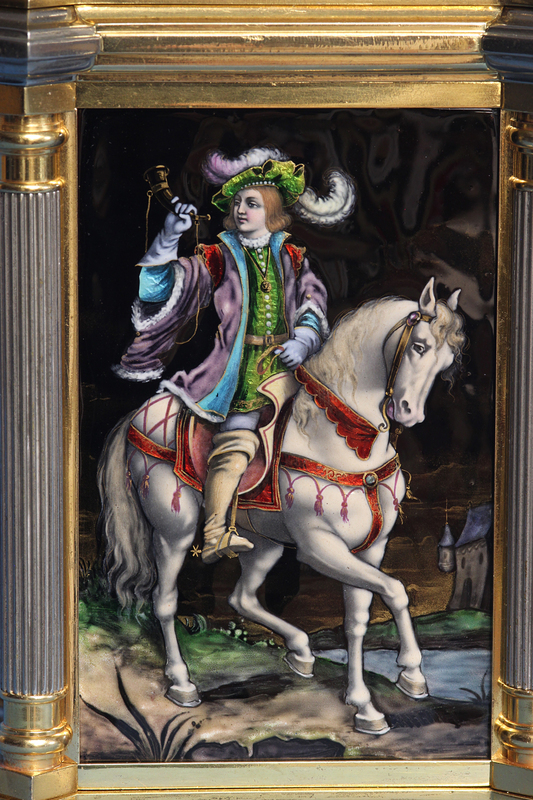 The massive silver and gilt bronze case has stylized readed doric columns and detailed finials to the corners, a hinged folding handle above, thick beveled glasses to three sides and three superb Limoges panels depicting hunting scenes in wonderfully detailed polychrome enamel. 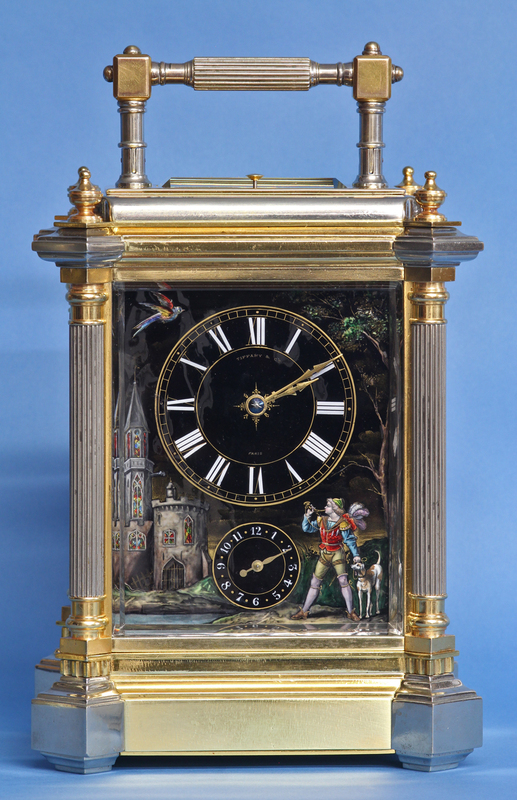 The Limoges dial has white Roman numerals for the hours, Arabic numbers for the alarm dial, finely cut gilt-bronze hands, is signed ‘Tiffany and Co.’ and depicts an elaborately dressed male figure in a landscape scene. 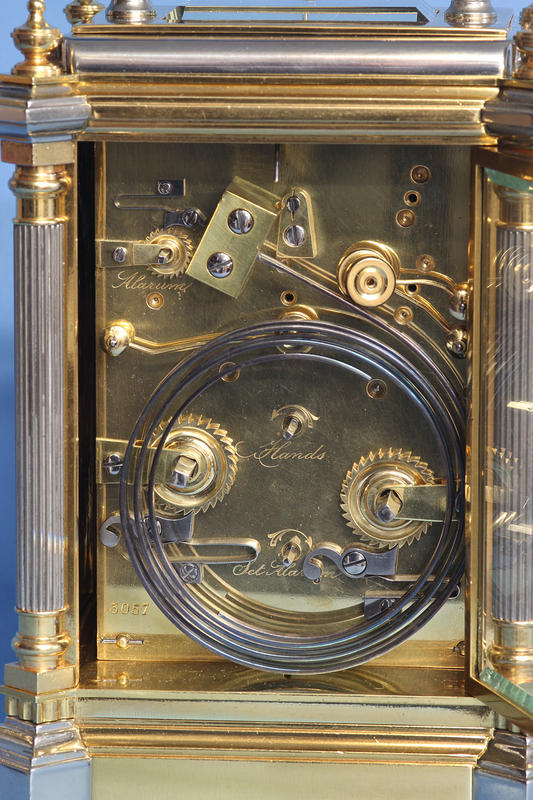 The massive eight day time, strike and alarm grand-sonnerie movement is set and wound off the backplate, has the indications engraved in English, is stamped ‘3057’ and has a three position lever out the bottom and an extremely high quality damascened lever balance platform horizontally mounted above. 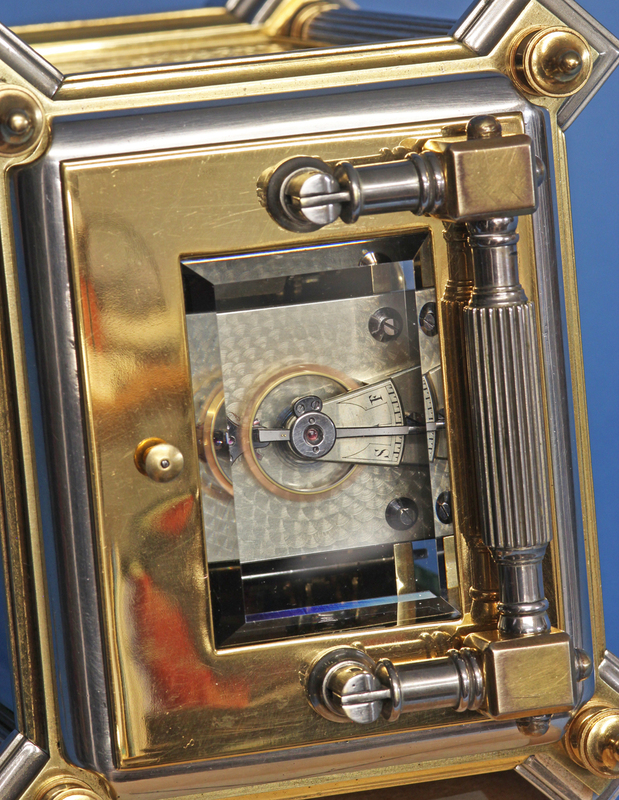 It still retains the original Geneva stops and is fitted with a very rare mechanism to allow the hands to be turned backwards. 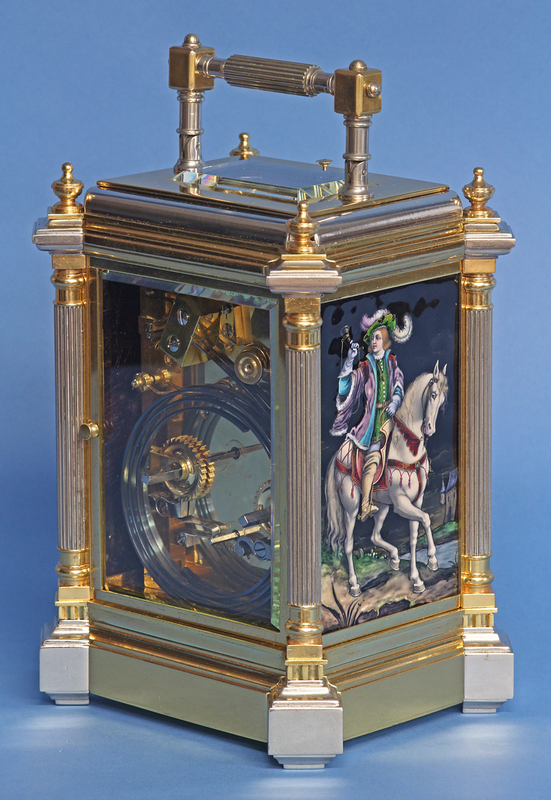 This is one of the best carriage clocks we have ever had as it pairs a remarkable case featuring the best Limoges panels with an extraordinary movement and creates a piece that is worthy of the Tiffany name. 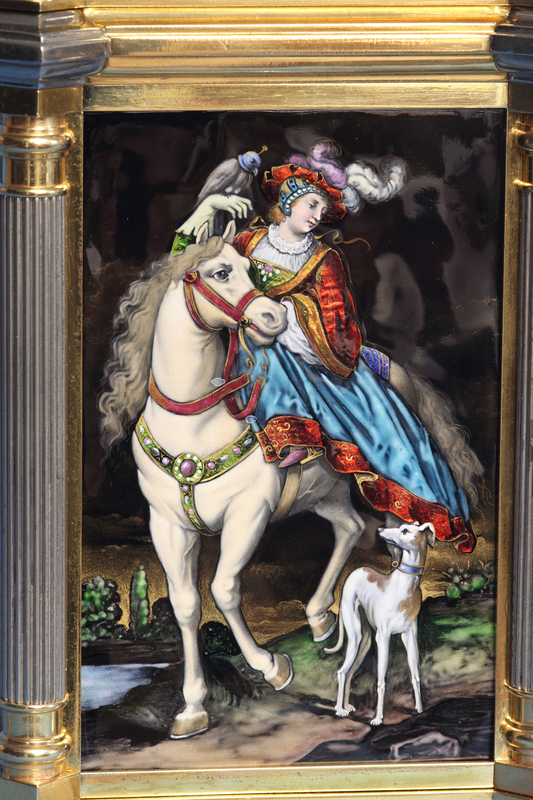 Size: Height - 8.125 in. 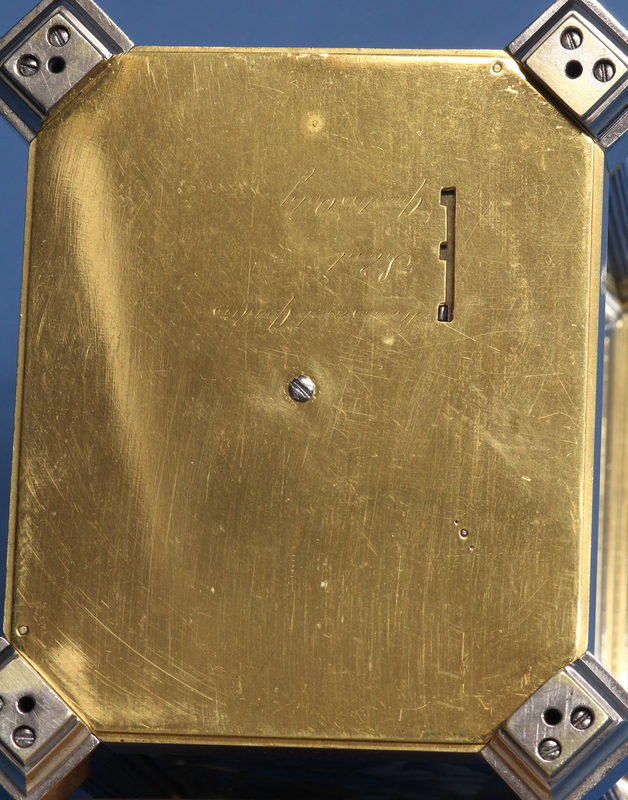 handle down.